Tremco illbruck has launched a new sealant which has a focus on environmental as well as technical issues. i3 brings together three products to create a vapour permeable sealing system also capable of achieving the air tightness necessary for low carbon living. 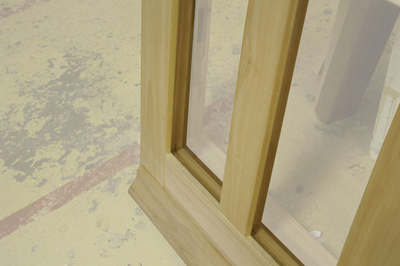 An appropriate thickness of Compriband 600 tape takes up the gap between window frame and reveal, before illbruck FM230 Window Foam+ is injected around the inner side of the joint. Illbruck Duo Flexible Membrane then provides an air tight seal between the inner side of the frame and the wall’s air barrier line before final finishes are applied inside and out. Tremco illbruck’s UK director and general manager Richard Hill said: “We are a building solutions provider: sealing, waterproofing and weather-proofing structures in order to improve the performance of properties. 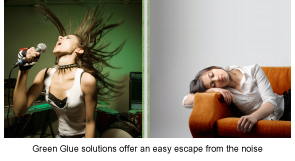 It is in the areas of windows, walls, roofs and floors that our products can really make a difference. Energy company BSolar has become one of the first companies to install a new ‘revolutionary’ solar panel in the UK. The company based in Halsall, Lancashire, recently completed a job in Lancashire, installing Sanyo HIT panels, a new super efficient solar panel which can generate up to 50% more energy than a normal panel. 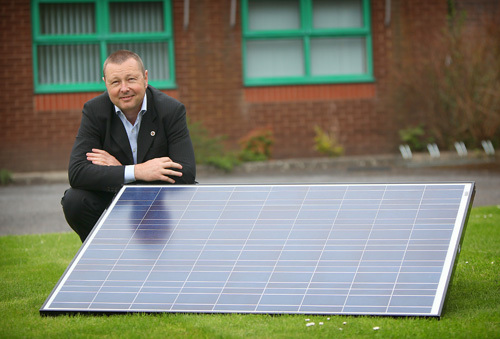 The Sanyo HIT panels combine two solar technologies and Peter Bladen, director at BSolar, expects these new panels to be a big success with homeowners across the UK. He said: “These new panels are a breakthrough in technology, they are very energy efficient so fewer panels are needed, which is useful for people who have a limited amount of roof space available. They also perform better under less than ideal circumstances, so are incredibly super-efficient. The government’s scheme rewards homeowners who generate electricity from renewable sources by paying them 43.3p per unit that is generated from the panels. Peter said: “It pays to be green. An average solar panel system costs around £10,000 and under the government scheme this will pay for itself in less than 10 years, then continue to give you a guaranteed income of around £1200 a year. With ‘eco’ and sustainability issues often being at the top of the global ’green issues’ agenda, the building industry is now more than ever under close scrutiny. The aluminium industry is making a positive and proven contribution and global recycling rates are high, up to 90% for construction and transport applications against 60% for beverage cans. The fact that 100% of aluminium can be recycled at the end of its design life creates an aluminium bank for re-use in the future and 5% of the original energy required from primary extraction is required at re-smelting. Aluminium can be recycled over and over without loss of properties, ensures that the high value of aluminium scrap remains a strong incentive and financial impetus for recycling. This can only benefit future generations by conserving energy and saving up to 95% of the energy required for primary production, therefore avoiding corresponding emissions, which include greenhouse gases. 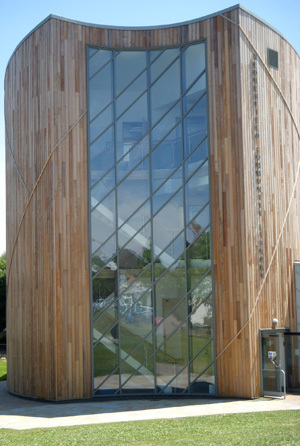 The main uses of aluminium are evident in the construction of windows, doors, curtain walling and facades. These can be seen across many types of building from a local high street glazed shopfront to the superstructure of a stadium or flagship shopping development. Aluminium’s formability, high strength-to-weight ratio, corrosion resistance and ease of recycling make it the ideal material for a variety of building applications. 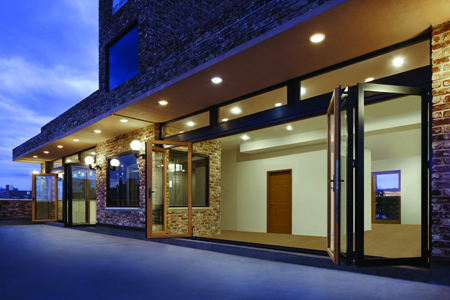 Commercial windows and doors must meet a myriad of functions and be environmentally sustainable, be weather resistant, secure and be energy efficient. Recognising the importance of the sustainability debate, Comar Architectural Aluminium Systems has the Comar 5P.i. 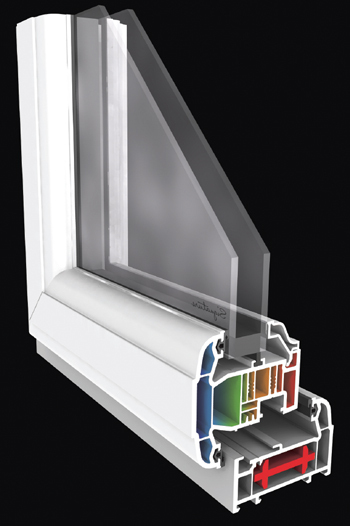 ECO window system, which offers the cradle-to-cradle properties of aluminium, as well as answering current demands. Comar 5P.i. ECO has just passed BS7950 at BRE, which provides compliance with Secured By Design. The weather test BS 6375 provides even more reassurance: air permeability passed at 600Pa, water tightness at 750Pa, wind resistance at 2400Pa and design safety at 3600Pa. Comar 7Pi HSD, a horizontal sliding door system also meets ever increasing demands for energy efficient building materials, this system has been developed for applications where high specification and elegant solutions are a key design consideration eg, offices, schools, hospitals and apartments. 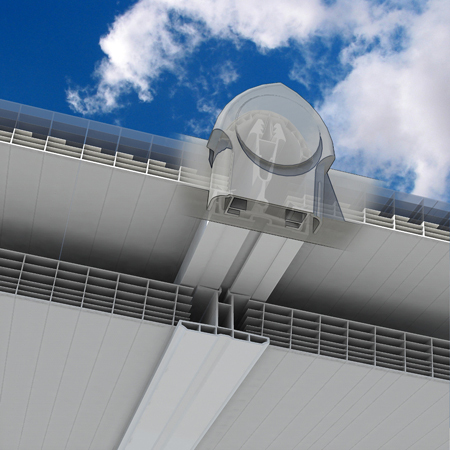 The sliding system has been rigorously tested in wet and sandy conditions, borne out with over 200,000 open/close cycles. 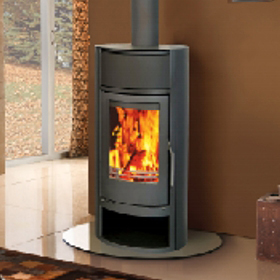 Both systems incorporate the trademarked P.i thermal efficiency providing low U-values. Pi is a 20mm-35mm polyamide strip manufactured from reinforced glass fibre, which separates the inner and outer profiles, creating an extremely effective thermal break. These are backed up by Comar’s technical department, offering project by project U-value support. CompareMySolar has the goal to make the solar-energy market easy and accessible for all consumers. The company’s website calculates the solar potential for individual roofs, and uses customer preferences to present the best options for solar systems and installers. CompareMySolar allows consumers to invite up to three installers for a free and non-obligatory site visit, and provide them with personal phone advice about going solar. The company provides solar installers with a tool to position themselves in the market though their level of experience, customer satisfaction and quality of materials. By incorporating feedback from consumers installers can build a good reputation online. All MCS accredited installers can join the network. CompareMySolar gets paid a fee by installers that have joined us once they sell a solar system to one of our customers. This does not result in higher system prices, as the company lowers installers’ marketing costs and increases their conversion rates through site visits with consumers that proactively choose them, CompareMySolar said. The website launched in November 2010 in the United Kingdom, the Netherlands and Belgium. Green Glue Noiseproofing System is an easy to apply and cost-effective system that can help reduce the pervasive noise in urban dwellings. Green Glue Noiseproofing Compound is a viscoelastic product that significantly dampens noise transmission by converting sound vibration into small amounts of heat. When applied as a constrained layer between two sheets of plasterboard, plywood or other building substrate, Green Glue Noiseproofing Compound reduces noise transfer from one room to the next by as much as 90%, including low frequency sounds that are normally resistant to soundproofing. The compound comes in easy-to-dispense tubes that can also be used with caulking guns for quick dispersal. Green Glue Noiseproofing Sealant plugs up gaps and cracks in walls and ceilings that are easily overlooked but which contribute significantly to noise transfer. When applied along wall and ceiling edges, the sealant can prevent these cracks from leaking noise and help maintain a high level of sound isolation. Both the Green Glue Compound and Sealant are water-based, non-toxic, has only a minimal odour, and is UL Environment certified as Mould Resistant per ASTM D3273. Green Glue Noiseproofing Joist Tape eliminates noise when foot traffic causes sub-flooring and joists to rub together. Older homes in particular are subject to natural settling, resulting in creaking noises from foot steps. 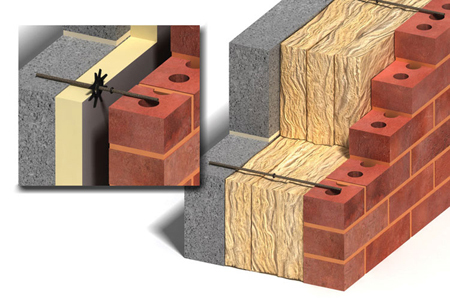 The Joist Tape acts as a sound isolating buffer when applied between joists and sub-flooring, and its low thermal conductivity improves energy efficiency. The Government stipulates that by 2016 (2013 for the social sector) all new homes will be zero carbon rated (code level 6). To achieve that standard all windows are required to have up to U-values of 0.7w/m2k and doors require a U-value of 0.8W/m2K or less. 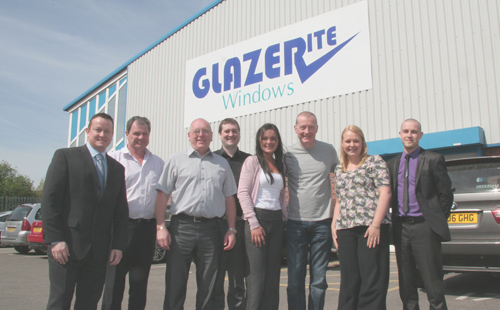 “Innovation is something that is sadly lacking when it comes to fenestration in the UK,” Steve continued. “Same old products being stretched this way and that to meet significantly changing requirements. What about integrating photovoltaic’s into ‘dead spaces’ in your curtain walling and integrating blinds into your windows for solar shading while protecting them from damage from enthusiastic students. 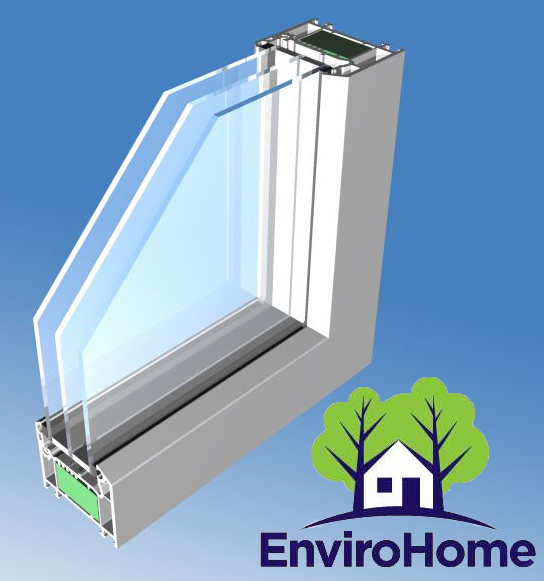 Then there are highly robust colour options that are significantly more cost competitive than powder coated aluminum, while achieving hugely better U-values or if it has to be aluminum, then aluminum windows and curtain walling that can achieve a U-value as low as 0.8 and 1.0 W/m²K respectively. 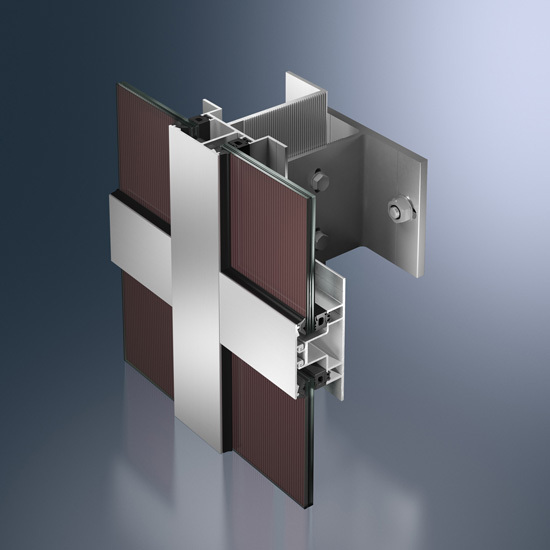 Sidey’s SolarthermPlus range is available now and offers some of the lowest U-values in the industry – 0.7w/m2k, superior acoustic performance, cost effective solar shading, RAL colour, BS colour and woodgrain finishes and re-glazing options. 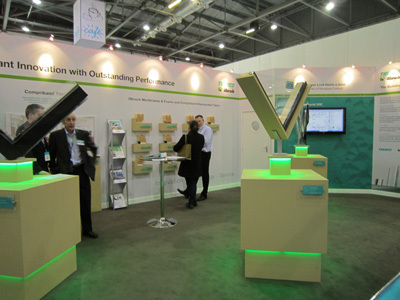 Wrekin Windows is stressing the importance of ‘sustainable efficiency’ at this year’s CIH exhibition. Visitors to stand C149 will be able to see Wrekin’s new window range, fabricated from RECO22, the 100% recycled window profile system. Available in a triple-glazed bead and featuring a centre pane U-value of as low as 0.8W/m2k, Wrekin Windows’ new range delivers significant in-life energy and CO2 savings. John Williams, sales director at Wrekin Windows, said: “The new window range fits perfectly with our emphasis on ‘sustainable efficiency’ for social housing projects. We have to be realistic and recognise that budgets are under real pressure and social housing providers have to make tough choices in the years ahead. “The lower level of Government funding that is still available for social housing refurbishment is increasingly tied into achieve energy efficiency and carbon reduction targets. “With a full listing in the BRE Green Book live, our new window system creates just 6% of the carbon emissions during extrusion as a comparable profile made from virgin PVC material, giving social housing specifiers a low maintenance, low carbon window option. “Efficiency savings are vital and price is an issue for all procurement professional but, in the social housing sector, it is more complex. 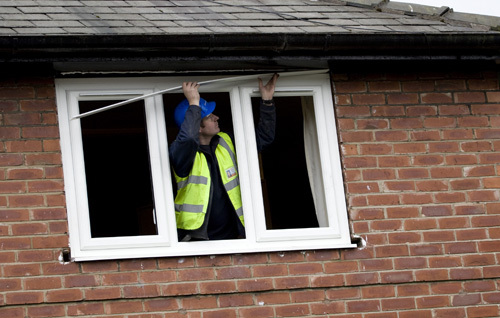 You cannot just swap window systems from one property to the next, or one estate to the next, without running into serious long term issues for maintenance and replacement cycles. “Because we are dedicated to this sector, we understand these realities better than any other window or door provider, especially those companies that have jumped on the public sector bandwagon in the past few years. A new class of transparent photovoltaic cells has been developed that can turn an ordinary windowpane into a solar panel without impeding the passage of visible light, scientists said Tuesday. The cells could one day transform skyscrapers into giant solar collectors, said Richard Lunt, one of the researchers on the project. “We think there’s a lot of potential to be able to integrate these into tall buildings,” Dr. Lunt, a postdoctoral researcher at the M.I.T. Research Laboratory of Electronics, said in an interview. Geoffrey Supran/M.I.T. 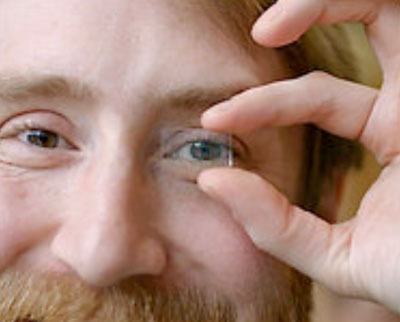 Richard Lunt, a researcher at the Massachusetts Institute of Technology, demonstrates the transparency of the new solar cell. Previous attempts at transparent solar cells have either failed to achieve high efficiency or blocked too much light to be used in windows. But the new cells, based on organic molecules similar to dyes and pigments, are tailored to absorb only the near-infrared spectrum and have the potential to transform that light into electricity at relatively high efficiency. The current efficiency of the prototype cells is only about 2 percent, but some basic modifications, like stacking the cells, could increase efficiency to around 10 percent, Dr. Lunt said. The largest challenge in developing commercial applications for the new solar cells will be longevity. The cells could be packaged in the middle of double-paned windows, which would provide protection from the elements. But the longevity of the cells would still need to approach the life span of the windows themselves, which would not be replaced for decades. “To make this thing truly useful, you do need to extend the lifetime, and make sure it reaches at least 20 years, or even longer than that,” said Vladimir Bulovic, a professor of electrical engineering at M.I.T. who collaborated on the development of the cells. Mr. Bulovic said that previous work to extend the life span of organic light-emitting diodes, or LEDs, which share properties with the organic solar cells, indicated that the problem of longevity was not an extraordinarily difficult one. If the cells can be made long-lasting, they could be integrated into windows relatively cheaply, as much of the cost of conventional photovoltaics is not from the solar cell itself, but the materials it is mounted on, like aluminum and glass. 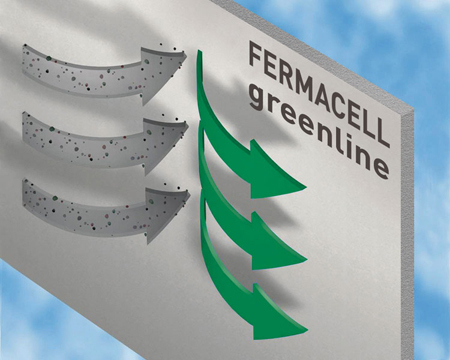 Coating existing structures with solar cells would eliminate some of this material cost. “We’re not saying we could power the whole building, but we are talking about a significant amount of energy, enough for things like lighting and powering everyday electronics,” he said. The Center for Excitonics, an Energy Frontier Research Center financed by the Department of Energy, provided funds for the research. A paper describing the technology behind the cells will appear in the next issue of the journal Applied Physics Letters.